Whether you’re a new or existing trucking company in Texas, the ability to understand and adhere to local and federal regulation has a significant impact on your business. 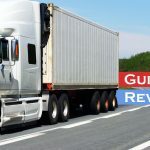 Maintaining compliance is not only the best way to keep your drivers, trucks and cargo safe and your customers satisfied, but it’s also critical for avoiding hefty fines and sanctions. If you’re looking for a fast, easy and affordable way to eliminate the headaches and confusion of reviewing policies and procedures, filing registrations, documenting driver performance and a host of other time-consuming tasks, US Compliance Services is a comprehensive source for the solutions you require. As a leading trucking compliance consultation company, in Texas we provide the support and resources to manage risks, boost productivity and operate more efficiently. As experts in the field, we are up-to-date on the latest laws, regulations and standards mandated by the Department of Transportation (DOT) and Federal Motor Carrier Safety Administration (FMCSA). From filling out and filing the correct paperwork to renewing registrations and vetting new and current driver qualifications, we’re capable of handling your most complex trucking compliance issues so you can focus on running your company. 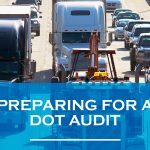 DOT Consulting Services – Are you following the detailed DOT checklist for trucking companies operating in Texas? US Compliance Services can help you get organized and up-to-date on required documentation and procedures, including vehicle inspections, driver physicals, hours recording and more. FMCSA Services – The FMCSA requires trucking companies to conduct safety audits, compliance reviews and roadside inspections as well as to file for the MCS-90 to demonstrate fiscal responsibility when transporting hazardous materials. US Compliance Services offers comprehensive filing and renewal assistance to ensure your operation is current with FMCSA regulations to avoid fines and adverse legal consequences. DOT Driver Qualification Management – Failing to comply with driver qualification standards established by the DOT and FMCSA part 391 can take your company down a dangerous road, including driver disqualifications and company audits and penalties. Download our Driver Qualification Checklist to confirm everything you are responsible for and learn more about how we can help you monitor and manage compliance. IFTA Assistance – Understand and adhering to International Tax Agreement (IFTA) guidelines is a challenge many organizations are not equipped to deal with. When you partner with us for trucking compliance consultation in Texas, we offer assistance interpreting rules and preparing and filing all tax-related forms accurately and on time. ELD and eLog Compliance – US Compliance Services can help put your business on the cutting edge with electronic logging devices (ELDs), or eLogs, that eliminate the time and labor of manually logging data about driver performance and efficiency. From registering new units and making sure you have the correct permits to collating existing logs and understanding regulations, we’ll make the process of transitioning to this soon-to-be-mandatory technology as smooth as possible. Put your trucking business on the road to compliance today! Contact us online or give us a call for more information and to request a free trucking compliance consultation in Texas.